You shall go to the after show party Cinderella! 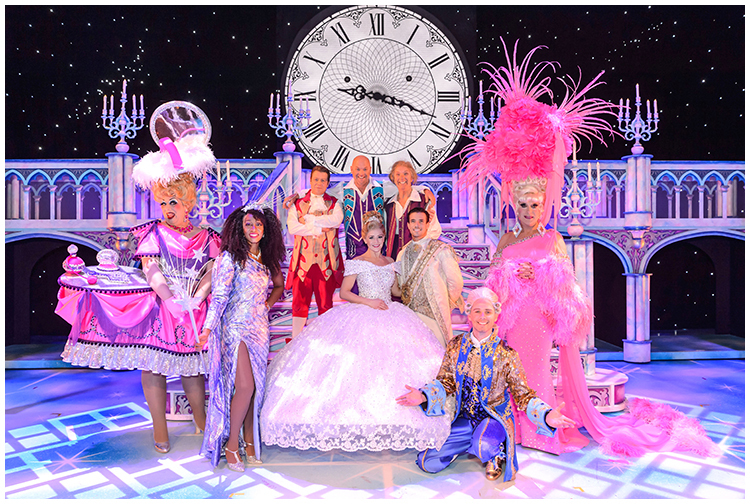 I was at the Birmingham Hippodrome on Monday for the dress rehearsal of this year’s panto Cinderella. I was taking the official full costume, on-stage press pictures of the cast. I first met and photographed the cast back in August at a launch event and as always it is an exciting moment seeing the pantomime finally taking to the stage. This year’s spectacular features soul singer Beverley Knight making her pantomime debut as the Fairy Godmother, alongside Strictly Come Dancing finalist Danny Mac as Prince Charming, Birmingham panto-favourite Matt Slack as Buttons, pop and television star Suzanne Shaw as Cinders, comedy duo The Grumbleweeds, and glam Ugly Sisters Ceri Dupree and David Dale. Usually these pictures are taken straight before the first performance when everyone is excited and ready to go. This year taking it before the final dress rehearsal the day before felt a little different, everyone is a bit more tense, time is tight, adjustments need to be made to costumes and my provisional one hour photo shoot ended up being about ten minutes! I was back at the theatre again on Thursday night for the panto VIP/ press opening night followed by the cast after show party. As you can imagine things were a lot more relaxed after the successful opening night and subsequent rave reviews. 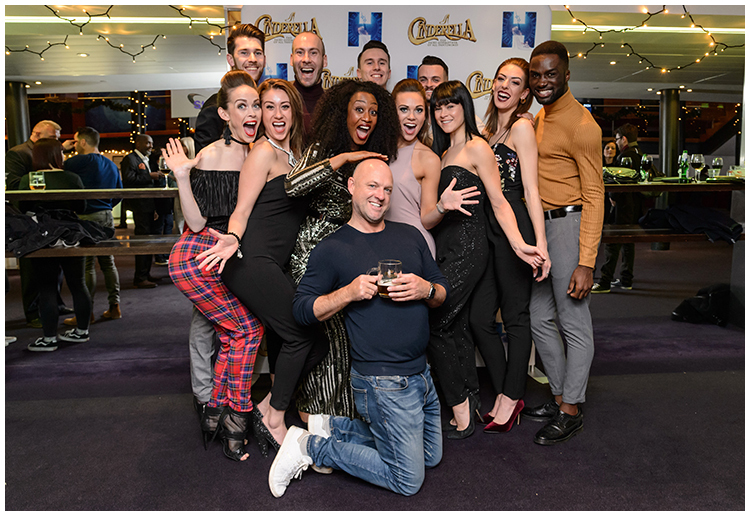 My picture below shows ‘Buttons’ Matt Slack letting his hair down with ‘Fairy Godmother’ Beverley Knight and other members of the ensemble. I feel very fortunate that for several years now my final week of work before Christmas has revolved around the Hippodrome pantomime, if seasonal glitz, glamour, boo-hiss, ‘he’s behind you’… doesn’t get you in the Christmas spirit then nothing will ‘Oh no it won’t…Oh yes it will’!! The show runs until Sunday 28th of January.